One of the most coveted and sought-after business platform is the car rental website business, which reaps huge-some of money. It has been a revelation ever since it’s inception.At the mean time, it demands a great deal of improvement on a consistent basis, in-order to maintain a high standard to amass customers frequently.Let us sneak peak through various insights, about features which will do your car rental websites, a world of good. Most of the confusions and disputes that are prevalent between the customers and the car owners, can be put to rest by providing the feature called fixed rate in your Car rental and Auto rental websites.By including so, you are going to fix the minimum and maximum rental price.Thereby putting an end to bargaining and overcharging.So make sure that your reputation is unharmed by price deviations, by including this feature. It’s almost improbable to foresee every aspects of disputes and deviations. Such situations occur here and there, so as a prerequisite it’s essential to ease out things by supplementing a claim request,which brings the website owner into the limelight to settle and calm things, by course of which your Car rental website yields dependability. Several varieties of cars are going to be enlisted in your Auto rental websites, for which its very decisive to set minimum rental time, and ultimately the user can’t afford to rent the vehicle for time period, a notch under than that.By including this, as a website admin, you are making things very clear, both to the vehicle owner and the customer. This facet is of paramount importance to induce an positive outlook among customers.And ensure that, this applies till the very last moment before the user is handed over with the vehicle. This kind of flexibility will nurture credibility amidst the owner and user. One can’t just brag around, by permanently enlisting various types of vehicles without ensuring and displaying it’s availability. So indulge an option which shows up, how things stand at that very moment.So that the customers start looking for other options provided with. 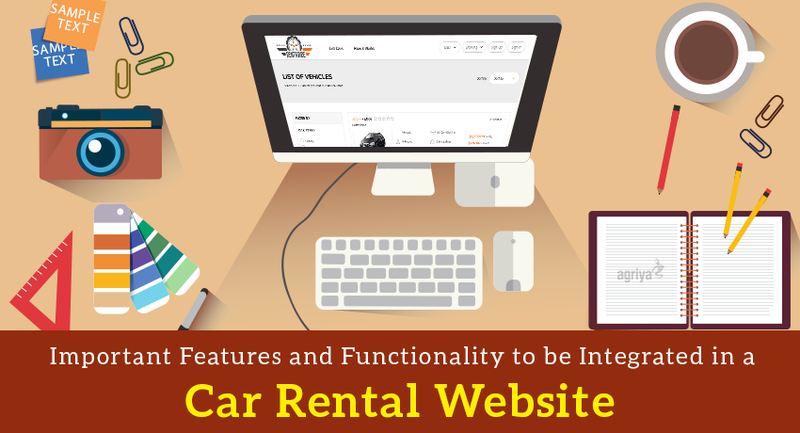 Compiling these features in to your websites, needs some work to be done at the grass-root level.Having said that, it isn’t an uphill task, as there are ready-made scripts available, all the above mentioned attributes gets designed in these car rental scripts, so without waiting further, you can initiate your dream car rental website, through one of these auto rental scripts.